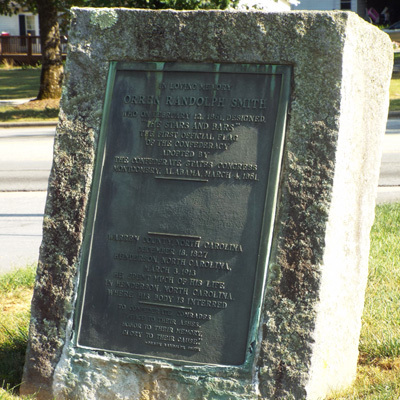 Images: Rear view | View of memorials at "Westminster Abbey of the South"
1,000 people were in attendance with a crowd swelled by the opening of the general convention of the United Daughters of the Confederacy scheduled to begin the next day in Asheville. Clyde R. Hoey (later governor) was the principal speaker with Mrs. E.L. McKee, North Carolina U.D.C. president and Mrs. L.M. Bashinsky, Troy, Alabama, national U.D.C. president also making speeches. Miss Jessica Randolph Smith, a daughter of the flags designer, presented a copy of the original flag to Calvary Episcopal rector Rev. Clarence Stuart McClellan. Orren Randolph Smith is remembered for claiming to have designed the Stars and Bars, the first official flag of the Confederate States of America. Modern scholars think it is more likely that Nicola Marschall, an artist on the faculty of Marion Female Seminary in Marion, Ala., submitted the favored design. 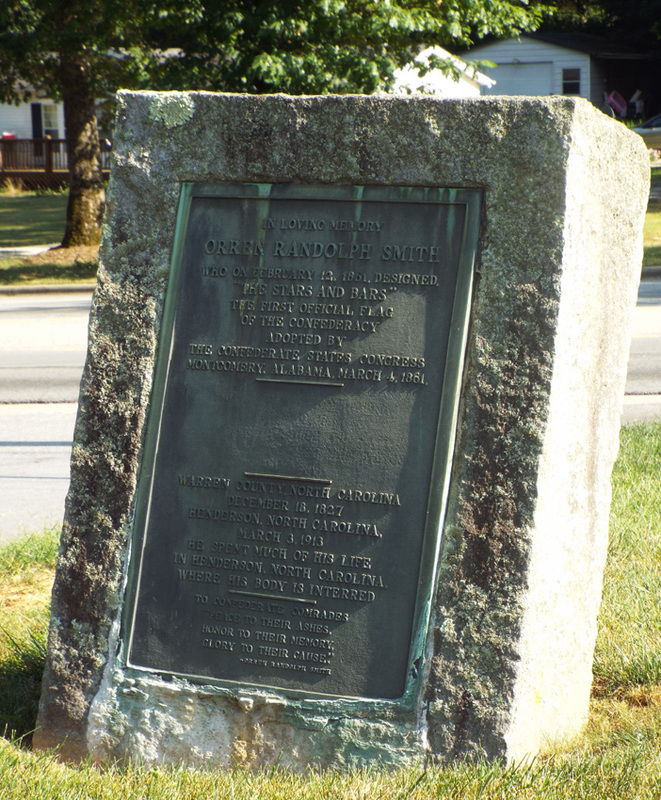 Another memorial to Smith and First Confederate Monument can be found in front of the courthouse in Louisburg in Franklin County, NC.